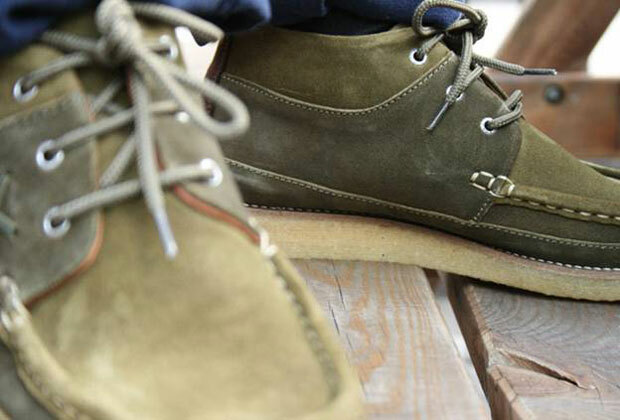 The latest from Pointer sees the release of this Conor boot in a Thyme/Natural colourway. 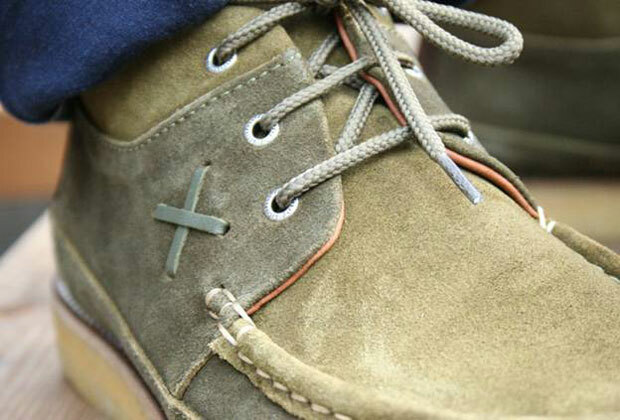 I’m a massive fan of this type of mocc toe boot, the sort of multi-seasonal footwear that seems to work well with any workwear style you dare throw at it. 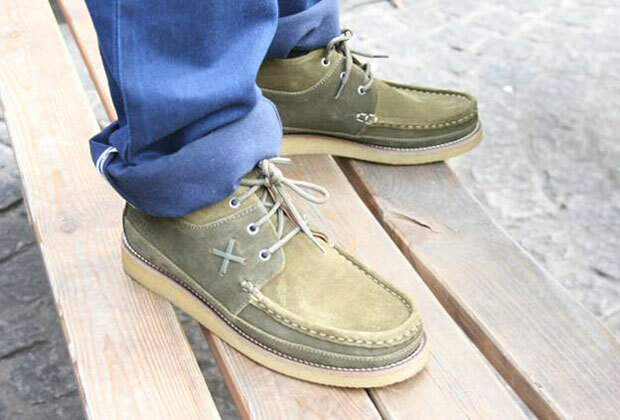 Sat atop a crepe sole to tie in the classic Moccasin influences, the ‘thyme’ coloured leather upper looks set to work well with a nice dark denim or even a rolled chino. The only negative that i can really pick up on these is that I would have much preferred a thyme dyed rawhide lace, they have the cross detailing on the side so why not carry it through? Being sold at a pretty reasonable price of £139, if you’re after something rustic looking you can pick them up from Glass Boutique now.